Dr. Hanna takes the time to explain the results of your eye exam, describe your options and listen to your eye care needs. Because maintaining good eye health is an ongoing partnership, we encourage you to ask questions and share your health information, which could be vital to monitoring, diagnosing and treating potential vision problems. Dr. Muneer N. Hanna, O.D. Dr. Muneer N. Hanna specializes in comprehensive eye care for adults and children. 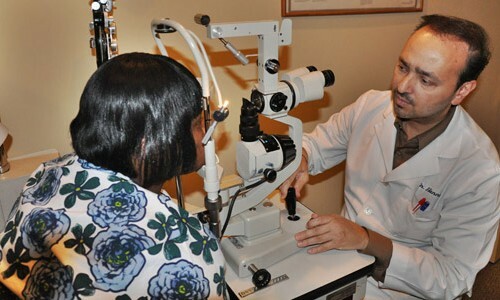 He has been practicing optometry in the Jacksonville area for over 16 years. Dr. Hanna received his bachelor’s degree in biology from Jacksonville University followed by a bachelor’s degree in vision science at Nova Southeastern University. In 1993 he earned his doctor of optometry degree at Nova Southeastern School of Optometry. 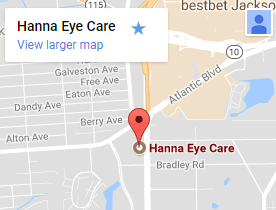 Dr. Hanna began practicing Optometry on the south side of Jacksonville and in 2005 opened his independent optometry practice at 1704 Southside Blvd. in Jacksonville, Florida. Dr. Hanna has served as president and chairman of the board for the Northeast Florida Optometric Society. Today he is a member of the American Optometric Association and the Northeast Florida Optometric Association.